Cloony Ranunculus are the most beautiful Ranunculus flowers available! The lush blooms with their countless delicate petals are a feast for the eye. Cloony Ranunculus are perfect to use in any kind of wedding decoration, but also in bohemian floral designs. 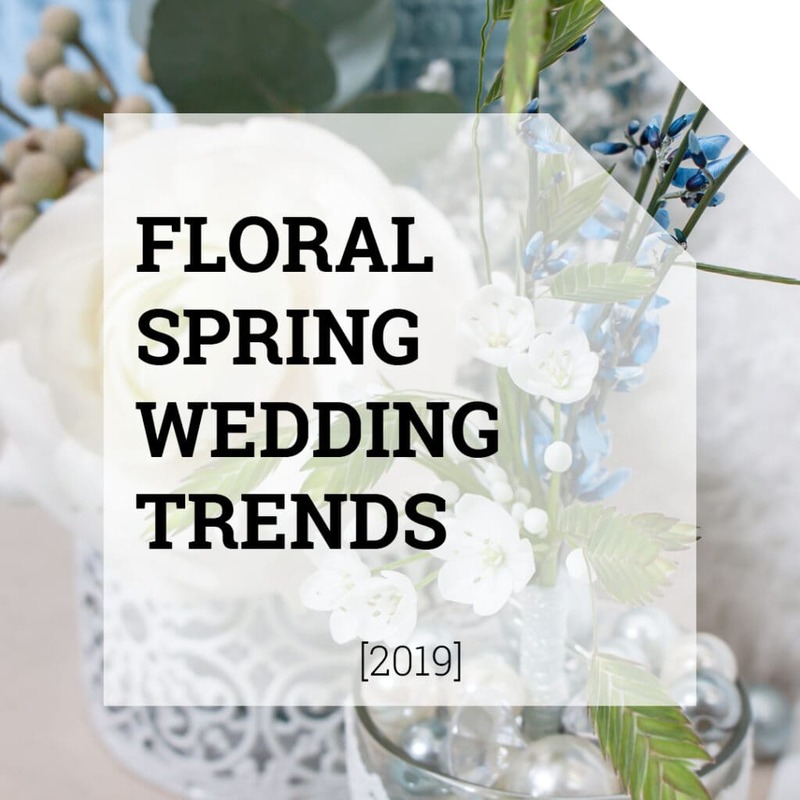 You just have to put a few flowers in a flower crown, or as a focal flower in a (wedding) bouquet: your customers will be stunned! 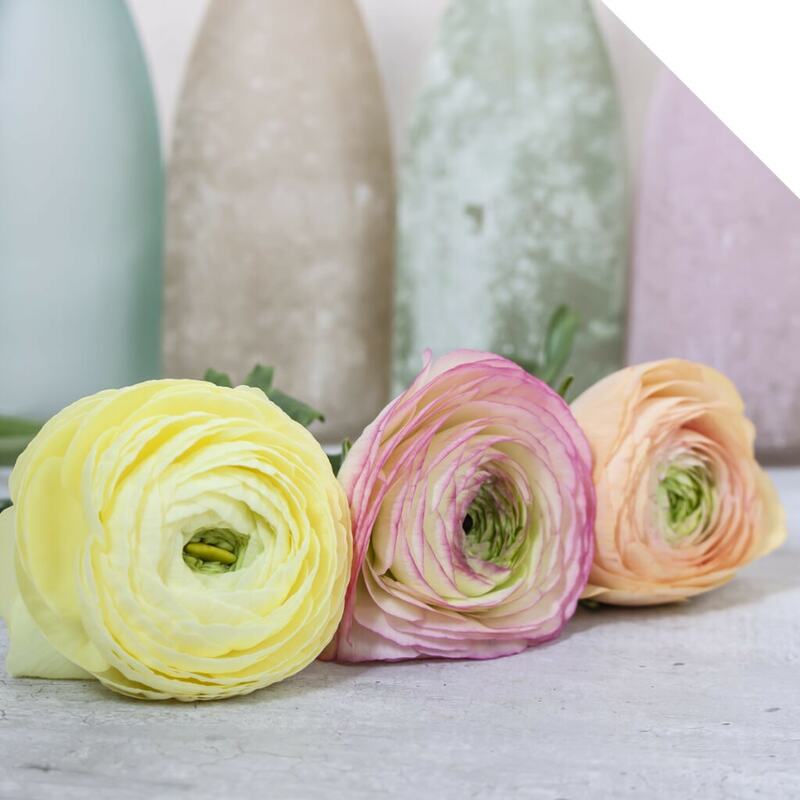 In this blog post we’ll show you 23 of the most amazing Cloony Ranunculus varieties we offer in our Holland webshop range. 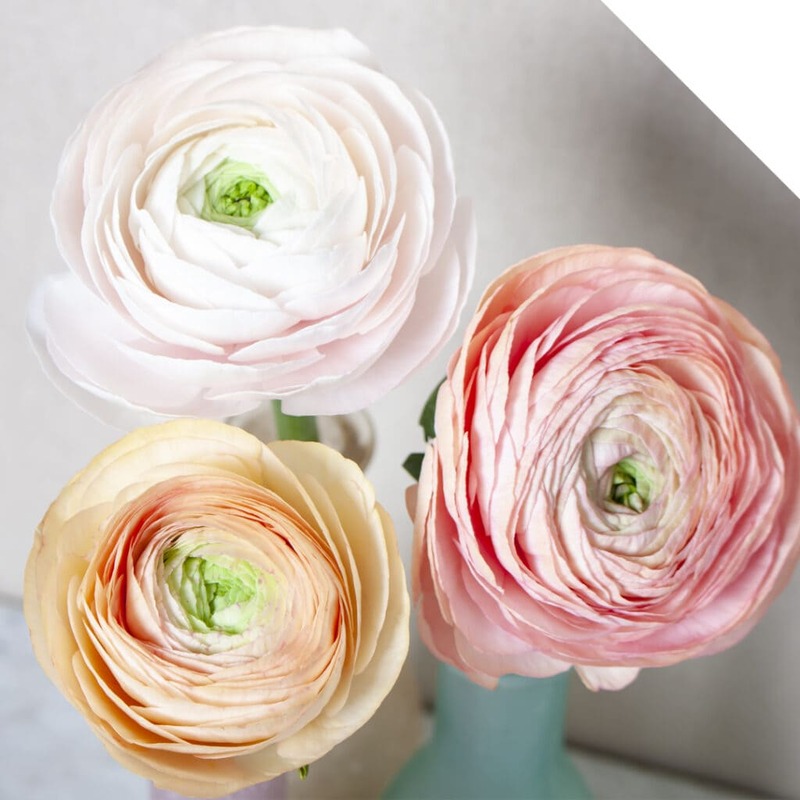 Stunning vintage pastel-colored Cloony Ranunculus varieties Hanoi, Rosa 418, and Blushing Pascal. Create a lovely romantic atmosphere with Cloony Ranunculi Commedia, Felicidade, and Blushing Pascal. San Mauro – The soft, light pink color of San Mauro is very romantic. Rosa 418 –The vintage looking Rosa 418 matches perfectly with Pantone’s Color of The Year 2019 Living Coral! Fragolini – If you want to go all out, then the hot coral-colored Fragolini cannot be left out! Blushing Pascal – A stunning peach-colored Cloony variety with a fresh looking green-colored center. Nerone – Add a touch of elegant mystery with the contrasting darkish aubergine-colored blooms of Nerone. Bolero – When it is used in event decorations, the hot pink-colored Bolero with definitely seduce to dance the night away. Tango – The tango dance symbolizes passion, and so is the so-called Ranunculus variety! Firenze – This amazing Ranunculus variety is named after Firenze, the white-haired Centaur we know from Harry Potter. A great story to tell to your customers if they opt for a magical wedding theme! 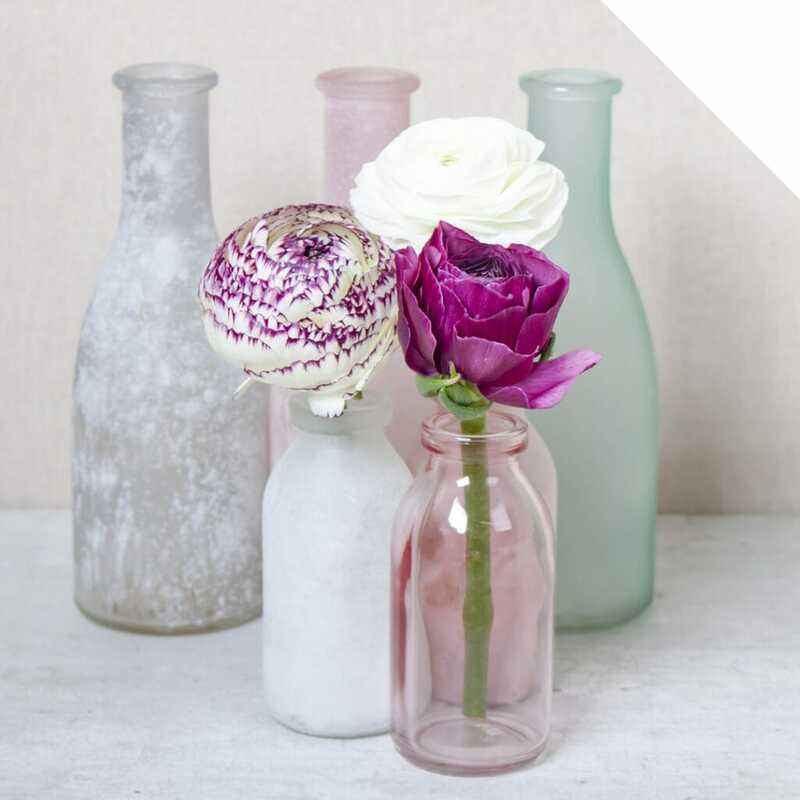 Mambo – Mambo will certainly add a vibrant touch to any floral decoration. Cappucino – We’re just smitten by this gorgeous Cloony variety! Each creamy petal has a deep aubergine border. Amazing! Rosado – Rosado has a lovely pink color and a fresh, green center. Use it so you can freshen your design! Omega – Omega bursts out happiness! 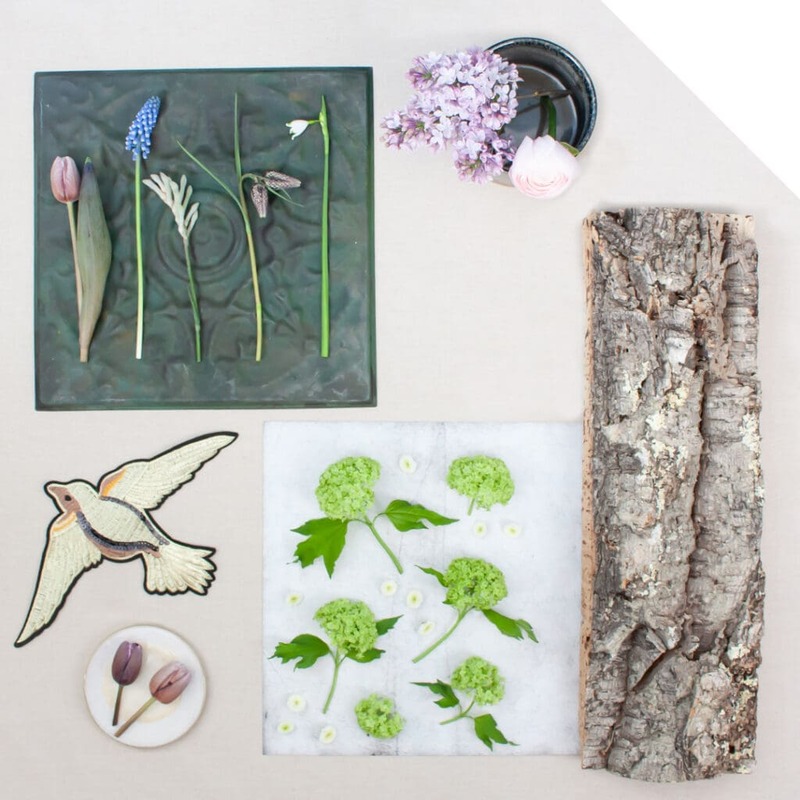 Perfect for adding a cheerful touch to floral decorations. Commedia – The light lemonish yellow color of Commedia is really distinctive. Matches great with white, yellow, and green flowers! Rio – Rio means “river” in Spanish, as you might already know. This Cloony Ranunculus will certainly bring a nice flow in your floral designs! Mandarino – Don’t be distracted by the size of Mandarino in the picture. When the petals open up, this orange-colored Ranunculus variety will shine! Elios – Elios looks like it’s on fire! The petals have a slightly flamed patterns with multiple tones of orange which go from light to hard. Fantastic! Felicidade – Add an extra touch of sweetness with this loveable light yellow and pink colored Cloony variety. Cherry – This plum-colored Cloony is stunning! Using it will bring contrast to your design, or mix it with various other purple colored flowers. Success guaranteed! Hanoi – One of the all-time favorites in our range is Cloony Hanoi. The blush-colored Cloony blooms breathtakingly and because of i’ts pastel it is perfect for wedding decorations. Passion – If your customers want to spice up, use Cloony Passion! The deep dark red color of the countless petals is really something! Lambada – Lambada fits perfectly in festive floral decorations. Ceres – When Ceres’ bloom opens up, the fresh green center will be visible. Great for spring and summer designs! Grand Pastel – Last, but not least: Grand Pastel has an amazing distinctive color, which fits perfectly in bohemian, vintage, or boho-chic wedding designs! 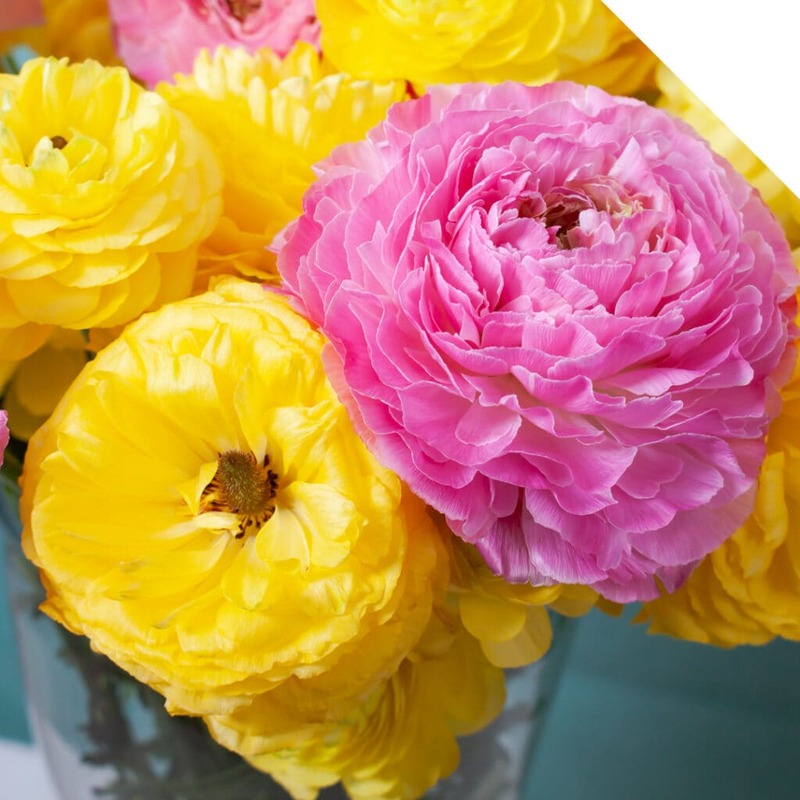 Where to buy The Best Cloony Ranunculus?